This Briefing Paper presents a summary of the initial findings from AREU’s research on the parliamentary elections. 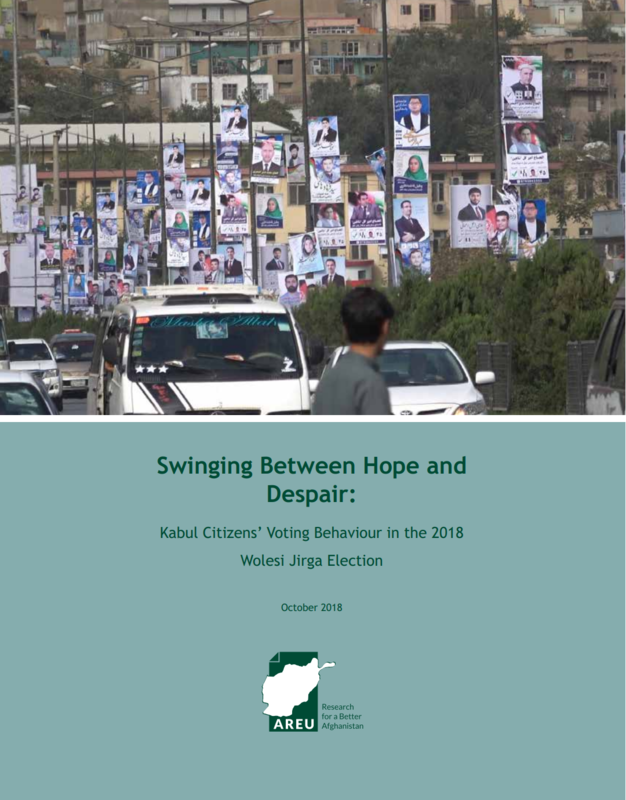 The study aims to analyse the voting behaviour of Kabul citizens in the upcoming 2018 Wolesi Jirga elections. Taking into consideration the deterioration of the security situation in Afghanistan (The World Bank , 2018), as well as the long delay in holding elections, this study will mainly focus on the factors that are going to influence the voting behaviour of Kabul residents in the 2018 parliamentary elections. The paper will first describe the methodology, followed by the initial key findings from the research and conclude with a number of recommendations.